It used to be easy to change the light bulb at home. We bought a bulb with small or large thread and we determined its power, which translated into the amount of light given. Today, this task is significantly hampered. Shop shelves are filled with hundreds of different light sources. How to choose the one that will meet our expectations from a wide range of these products? In the old type of bulbs, the amount of watts on the packaging immediately told us about the brightness of the bulb (100-watt gave very bright light, and 60-watt normal). In energy-saving LED lamps, this old rule does not work anymore. What’s more, by following it, you can fall into the trap of producers of light bulbs who feed on this old habit. Many of them put information on the packaging of their products, type X watts in one bulb, then Y watts in another. At the same time, each of them counts in their own way, but always in order to increase their income, and not necessarily stick to the real technical parameters. bulb with a power: 150 W – light beam: 2160 lm. So if you want to buy a light bulb that gives a strong light, choose one whose light beam is equal to or greater than 1380 lm. And when you want a normal light, the one with a stream of light at around 710 lm. parameter defining the color of light expressed in Kelvins (K), always choosing one range – heat color: 2700-3300 K or light rendering index (CRI or Ra). The best in this case will be the bulbs from Ra 100, possibly 80. 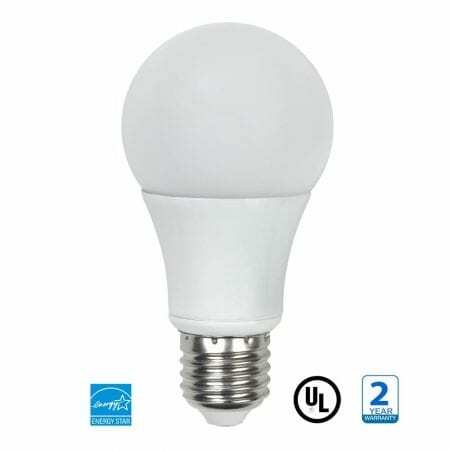 Bulbs with a lower Ra value are not suitable for home. In simple domestic bulbs two types of threads are used: small (marked E14) and large (E27). It is worth to remember them, especially when we often shop at online stores. In this way we will avoid possible mistakes. Each bulb contains picture information about the light distribution angle. A narrower angle allows you to display selected elements of space such as pictures or photo galleries. Wider lighting throughout the room. Choose one that suits your needs.